As an undergraduate, Krittika D’Silva is contributing to a relatively new area of research – crafting communication technology for low-income people in developing countries. She is creating mobile phone software to help diagnose illness and connect people in rural areas with better health care. 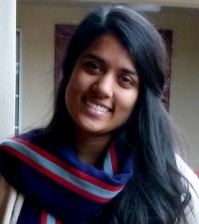 Krittika plans to graduate in June 2016 with a dual degree in bioengineering and computer engineering. The ambitious, award-wining undergraduate already has co-authored published research papers, presented her work at conferences and completed a summer internship in India with Microsoft Research. Her many awards include being named a 2014-’15 UW Levinson Emerging Scholar and a 2014-’15 UW Early Identification Program Presidential Scholar. Born in India, Krittika and her family moved to Texas when she was 6, and then later to Vancouver, British Columbia. Krittika came to UW focused on doing research in bioengineering, particularly with Joan Sanders, professor of bioengineering. Her persistence helped secure a position in Dr. Sanders’ lab right away, designing devices to improve prosthetic limb socket fit and comfort. “Dr. Sanders has high expectations for all of her students,” Krittika says. “I enjoyed working with her team because I was given individual responsibilities and encouraged to publish papers.” As a sophomore, she was the first author on a research paper published in Prosthetics and Orthotics International. She also attended a conference in Orlando, Fla., where she gave a 15-minute talk about the work. “I was nervous about presenting my work to an audience of prosthetists and orthotists, but I knew the research was relevant to their practice, and it was a great learning experience,” Krittika recalls. Krittika worked in the Sanders lab for two and a half years, research that ultimately earned her a Top Student Researcher Award from the American Academy of Orthotists & Prosthetists Northwest Chapter. “I don’t know where I would be if it hadn’t been for Dr. Sanders’ support,” Krittika says. She relished the software side of the work, and after an introductory class, decided to add a computer science degree. The summer after her sophomore year, she also began working with the late Gaetano Borriello, the Jerre D. Noe Professor of Computer Science and Engineering, as part of the Change group. The group researches ways that technology can improve the lives of people in developing countries and low-income regions. “I really like that the work is focused on using technology to help those who need it. It’s very fulfilling work,” Krittika says. For her bioengineering capstone, Krittika is developing a smartphone app that converts medical test results (red lines at top) into a measureable number. For her senior capstone, Krittika works on a collaborative project between bioengineering and computer science. She is developing software that will allow Android smartphones to automatically analyze the results of ultra-low-cost paper-based tests that can detect disease and monitor health in low-resource settings. 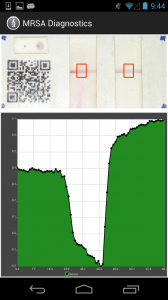 The paper-based lateral flow test strips, created by Paul Yager, professor of bioengineering, and his team, are similar to a simple pregnancy test. The strips allow users to test for various diseases quickly, reliably and cheaply – three qualities that can be hard to come by in health care in the developing world and other remote locations. The goal is to enable cell phones to take a picture of the test strip results, read and convert the results into a measureable number, and transmit the data to a doctor or health provider, Dr. Yager says. The system could give step-by-step instructions, making it easy for users to run the tests, he adds. It’s also designed to work with or without access to a data network. “You can imagine a practitioner in rural Africa has one smartphone and it tells the health care worker immediately, here’s the diagnosis,” Krittika says. She collaborates with bioengineering senior capstone student C.J. Mowry, who works on optical and hardware aspects of the system, ensuring that it can capture high-quality images to present to Krittika’s software. In February she traveled to Santa Fe, N.M., to present her work with Dell on touch-free uses of mobile devices in global health at the HotMobile computer science conference. During her internship with Microsoft Research, Krittika designed an app to let “citizen journalists” take photos and record reports, even when offline. Last summer, Krittika worked on another project involving smartphones in low-resource regions – as a research intern with Microsoft Research (MSR). To secure the coveted position, she first went to Dr. Borriello, her faculty adviser, even though she knew he had never sent an undergraduate before. He agreed to recommend her, and after a competitive interview process, she became one of five interns from around the world selected for the team. “I was the only undergrad at MSR India that summer, which was a little bit scary but it was an awesome learning experience,” she says. The internship sent Krittika to Bangalore, India, where she designed and built an application for Android-based smartphones to give people in remote areas a way to communicate problems. 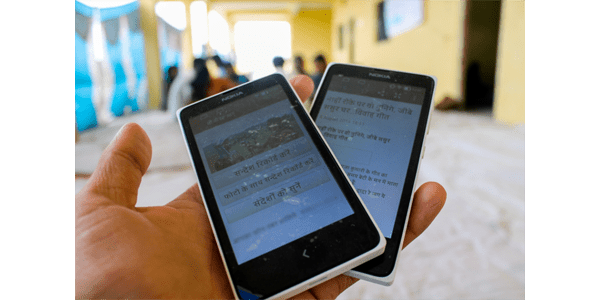 The app redefines a basic cell phone-based news system in which “citizen journalists” in remote India make a phone call and report on neglected issues, such as a broken hand pump at a well or unpaid wages. An agency fact-checks the reports, and then anyone can call in to hear them, including activists who go to villages to help. 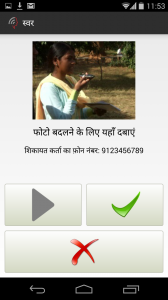 Krittika D’Silva leads a training session to get feedback on her app in the village of Dewas in central India. Microsoft provided 10 reporters each with a smartphone pre-installed with the app. Krittika trained the reporters, some of whom had very low comfort with technology, on how to use the system. Her app can capture photos as well as audio recordings, letting users record reports when and where they happen. 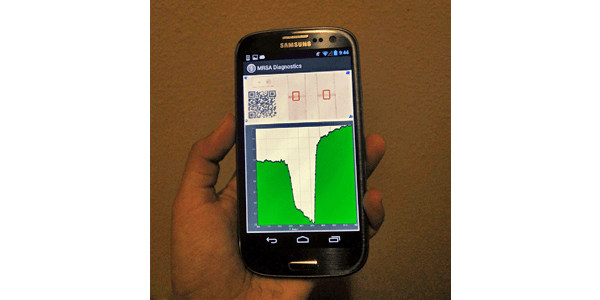 Krittika designed to app to work offline, and then upload the reports when the user moves into data network range, allowing for significant operational savings over the regular call-only system. The application launched in September 2014 and is currently in use in the Chhattisgarh region of northern India. Krittika and her work were featured in a story by National Geographic last fall. She also realized the importance of creating tools that are appropriate for where and how they will be used. “I want to build technology that can help people,” Krittika says. 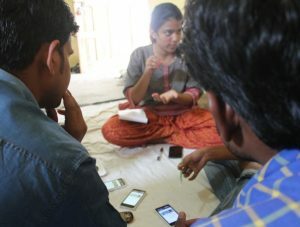 “Working in India for the summer taught me how important context is, and that the way people use technology can be different and depends on unique circumstances.” Krittika notes that smartphones are beginning to appear more frequently in remote regions, a trend that is expected to grow. 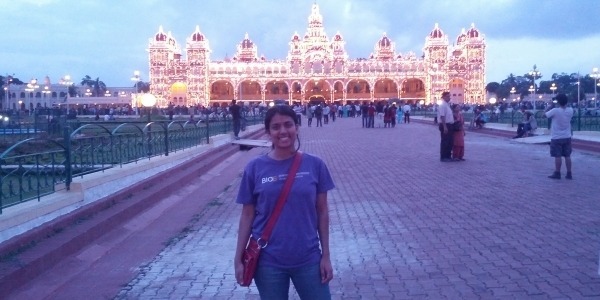 Krittika D’Silva shows her UW BioE pride at Mysore Palace in southern India, July 2014. For this summer, she accepted an internship at Google in Mountain View, Calif., where she’ll work on the Android infrastructure team for Google+. “It was my goal to work there, so I’m ecstatic,” she says. When not studying or in the lab, you may find her bird watching or making music. Although she can play the piano, clarinet and saxophone, these days she mainly sings classical music, and enjoys improvising with friends who play various instruments. After graduation, Krittika plans to pursue a Ph.D. in computer science. She hopes to do work that combines her two degrees, using software to improve health care. She keeps a short list of possible start-up ideas and is hoping the list will grow over time. “If I can find an idea and a team that I like working with, I would love to pursue entrepreneurial work,” she says.